We signed a 30-page contract with a client last week, full of legal details and formalities. It took about 10 minutes to sign it all. As I was getting the corporate seal and my fancy blue pen all ready to do their work, I realized that this formal contract is not as important as the contracts behind the contract. Behind the formal contract into which we entered, at least three other contracts are in place, requiring us to serve ourselves, each other and our city well. I characterize them as ‘learning journey contracts’. 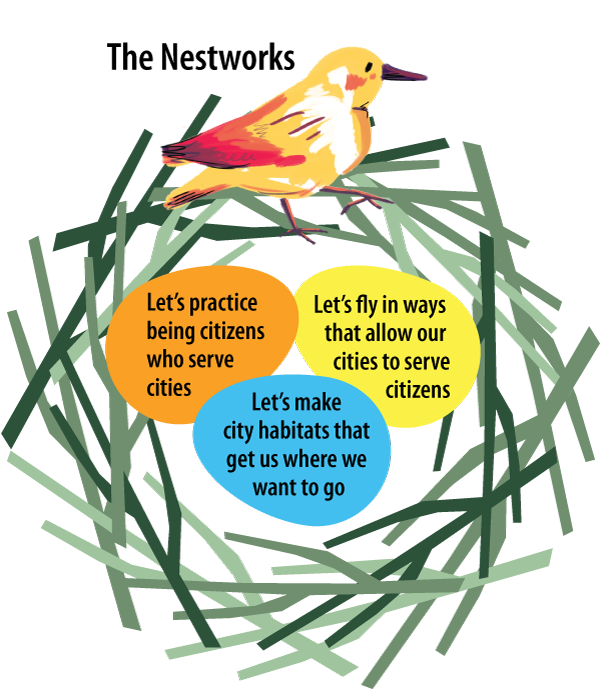 The POPULUS team has come together because of our shared vision for how city work can be done. We call it The Nestworks. We have come together with our own contracts with each other, to find ways to do the work we love to do with each other. This means we are a varied and multidisciplinary group of people with a common vision – to serve our city well. We are under contract with each other to do the work we love to do, and to support each other to do the work we love to do. While the formal legal contract is necessary, the contract to work well together is even more necessary if we want to do good work together. It is more than one party paying another to do tasks because we are jumping out to do this work together. Just because we share a vision for how city work can be done, it does not mean that it is the right time for this work to take place. The arrival of clients who want us to do this work is confirmation that we are needed. It is the city saying yes, and us saying yes to what our city asks of us. The POPULUS team and the cities we work with agree to learn together too. As a team, we think of our work as a contract we each have with each other, others and the cities around us. We are each expected to offer our truest self out to the city. We do this because that is what creates the conditions for the city to regenerate itself and serve its citizens better. What is the work you love to do? Where are you invited – or contracted – to do it?